Pulmonary fibrosis (PF) is a condition that often refers to a group of interstitial lung diseases which are characterized by a buildup of fibrotic scar tissue on the lungs. This scarring is often a natural response to injury, toxins or chronic irritation from environmental exposure or infection. Some patients experience fibrosis of the lung without any identifiable cause, which is referred to as idiopathic pulmonary fibrosis (IPF). If you or a loved one has been diagnosed with IPF, you may be wondering about V/Q mismatch, what causes it and how it relates to pulmonary fibrosis. What is Ventilation/Perfusion (V/Q) Mismatch? The V means ventilation. We breathe air through our nose and mouth, through the trachea and down inside the bronchi. The air then travels down through small airways known as alveoli, where oxygen and carbon dioxide are exchanged. The Q means perfusion. Also known as blood flow, perfusion takes place when deoxygenated blood (blue) travels through the pulmonary arteries through vessels to the capillaries, where the blood exchanges nutrients and becomes oxygenated. 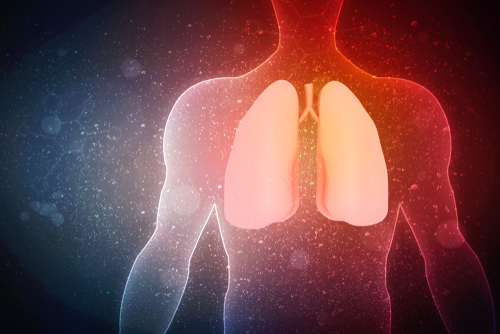 When we breathe, our lungs work to transfer the air from our body and the environment (ventilation). As we ventilate, our lungs work to oxygenate our blood when it passes through the lungs (perfusion). V/Q or ventilation/perfusion refers to the amount of air that contacts the alveoli divided by the blood that flows to the lungs through the capillaries. V/Q mismatch happens when ventilation and perfusion don’t match up evenly and is a symptom of many pulmonary diseases. In some areas of the lungs, the capillaries and alveoli don’t line up, which is known as “dead space.” In anatomical dead space, there is an obstruction of either the blood supply or the airways, such as when a foreign body is inhaled into the lungs, or with pulmonary emboli. Physiological dead space happens when the structures of the blood vessels and airways are healthy, but the capillaries and alveoli don’t match up due to another reason like shunting of blood away from an area in the lungs. Dead space happens when you bring blood into an area where it isn’t able to pick up oxygen or when you bring blood into a region where it is unable to extract oxygen. If someone has V/Q mismatch, it means that the alveoli and capillaries don’t line up in some places inside of their lungs or there is dead space. This could mean that some places in the lung have more capillaries than alveoli or that those areas are better perfused than ventilated. Other areas may have more alveoli with new oxygen than capillaries to grab that oxygen. These areas are better ventilated than perfused. It is normal for the lungs to have a certain degree of mismatch, but if it increases significantly, it can cause problems. One of the most significant problems associated with a V/Q mismatch is the potential for it to cause hypoxemia and respiratory failure. Hypoxemia refers to the decrease of oxygen in the blood, which is something that people with pulmonary fibrosis often suffer from. When the body’s cells are deprived of oxygen due to hypoxemia, it can cause symptoms like shortness of breath, confusion, faintness or even death. V/Q mismatch is usually caused by an issue with the lungs that decreases or increases ventilation or perfusion. This means anything that interferes with the lung’s ability to receive fresh air into the alveoli or anything that prevents blood from flowing to the capillaries. Either of these circumstances has the potential to disrupt the balance between perfusion and ventilation, resulting in V/Q mismatch. 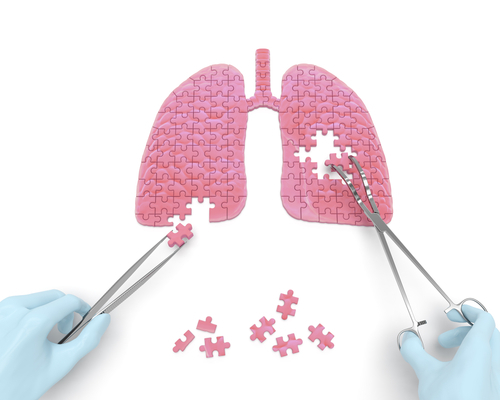 Although most people who suffer from pulmonary fibrosis don’t experience V/Q mismatch, the scar tissue, collagen and inflammatory cells in the lungs associated with interstitial lung diseases like PF can cause an imbalance between perfusion and ventilation. A decreased V/Q ratio where there is a decrease in ventilation or an increase in perfusion is often caused by conditions like asthma, chronic bronchitis, pulmonary edema and airway obstructions. An increased V/Q ratio where there is an increase in ventilation or a decrease in perfusion is often caused by conditions such as pulmonary embolism and emphysema.